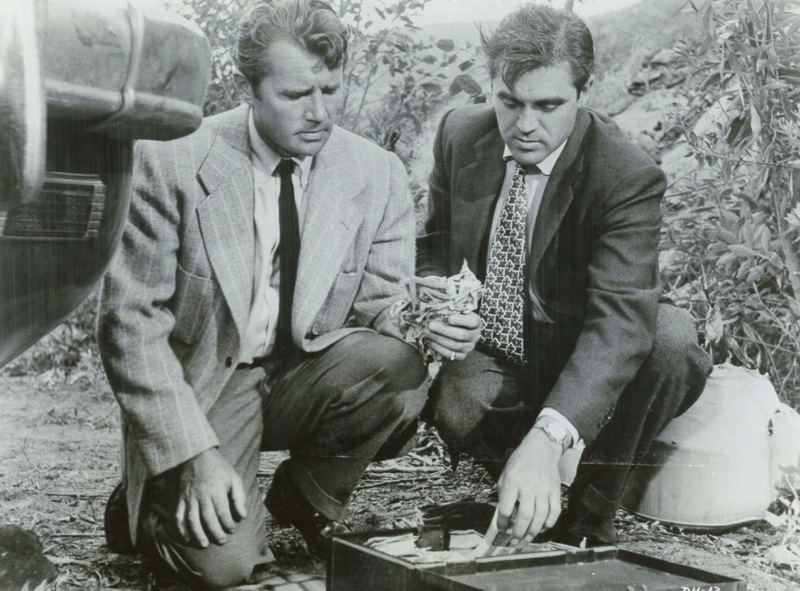 PRIVATE HELL 36 (1954) --- Points of interest: Don Siegel directed, Ida Lupino produced/stars, Steve Cochran is co-male lead. Otherwise, the story took a while to get going. Steve is a turned-crook cop, Howard Duff his conscience-ridden partner. Siegel said Cochran stayed lit much of the time, cast fellows joining him in spiked coffee-breaking. Maybe Steve felt he'd done enough of these to finish one halfway in the bag --- he's more accomplished that way than others at 100%. Remarkable how many cheap noirs were made on a lick & promise, begun with scripts one third prepped, fraying tempers and disorganization from there. Still, there are individual scenes, quite a few, written and played effectively. Everyone's life is a mess, Dean Jagger and his pipe sole stabilizing influence. Steve and Ida are convincingly damaged people, their romance punctuated by accusation and hard slaps to the face, a noir ritual and maybe one not uncommonly played in real lives during the up-tight 50's. Siegel knew his way around sudden bursts of violence and was good at build-up to body blows we feel for investment in frayed characters. When guns are drawn, look out. I counted four cast members who'd work for him again in 1956's Invasion Of The Body Snatchers, so obviously, they had Don's phone number. 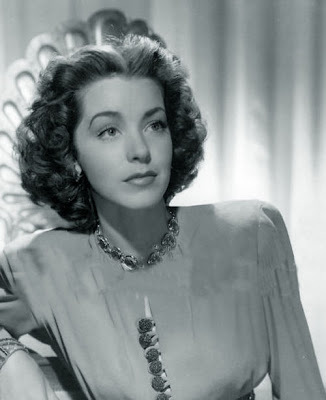 Ida Lupino and Collier Young raised Hell for their independent Filmmakers company, which went south for error of trying to distribute Private same 36 in addition to producing. Siegel and Ida hit it off at first, fell out later. She was trying to keep a marriage with co-star Howard Duff together. Maybe they were doing the slap-and-kiss routine at home. Things wouldn't work out, and according to Siegel, neither did the film. Private Hell 36 is a honey so long as expectations stay modest. Nice to have it on Blu-Ray and presented in 1.85 widescreen. THREE HOURS TO KILL (1954) --- Dana Andrews rides into town to get even for a botched hanging, hemp scar on his neck reflecting bitter mood. The 50's were when adult westerns really got going. Everybody wanted the next High Noon. Andrews was good in whatever he did --- talk about a star being a whole reason to watch. There's also a mystery killer abroad, fair enough to get through a first viewing if not repeat ones. Shooting outdoors and in color was adequate to pull 50's westerns across, these plus a meaningful name above titles distinguished them from horseflesh rode gratis at home. Columbia has done a fine 1.85 transfer for their On-Demand DVD program. 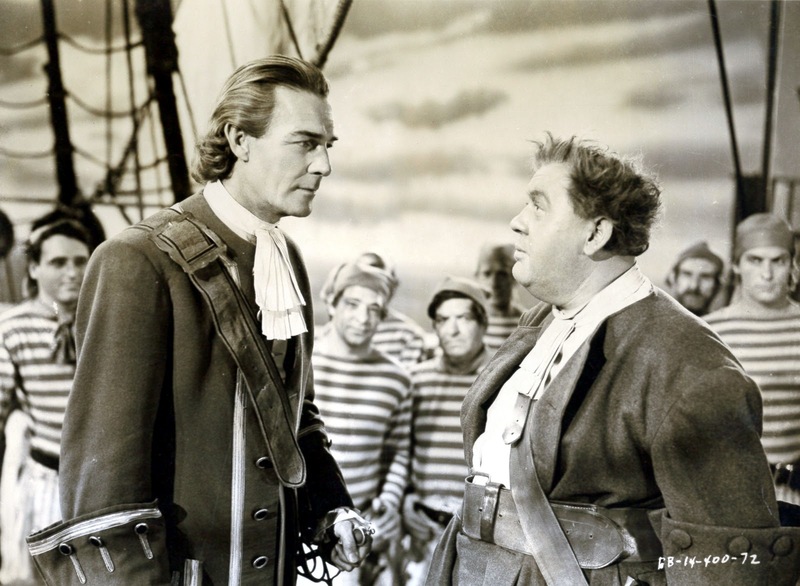 CAPTAIN KIDD (1945) --- Charles Laughton approaches comedy for 1945 Captain Kidd-ing that he would surrender to altogether when the character met Abbott and Costello seven years later. CL was better on sly setting than outright burlesque, and here he has a vet crew willing to stand down and let the rascal have his head. Tissue narrative gives way to Laughton lunacy as he systematically offs his own crew, logic of this elusive but welcome withal as it's Chuck with an upper hand we want. 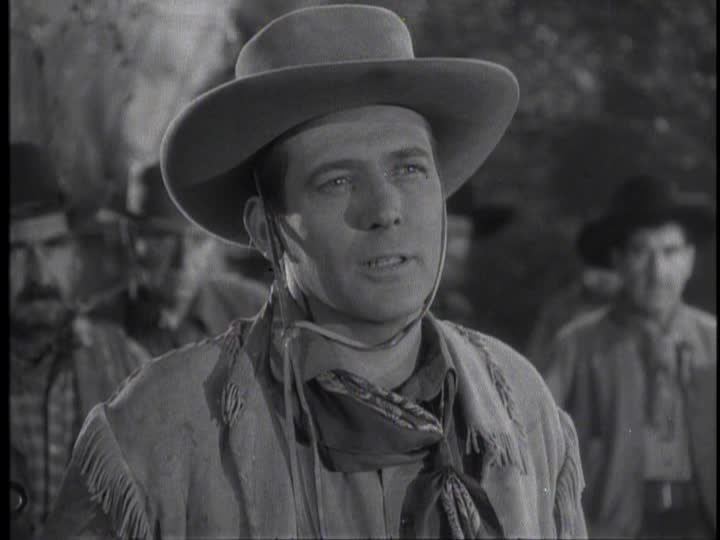 Randolph Scott isn't named Stolid Hero, but that's the role he got. I'll bet Laughton arrived on-set each morn bearing slips of paper with ideas to juice up the day's shoot, and who were producers to deny him? This Captain Kidd would surely not have been made short of CL enlisting. TCM played it --- quality was OK.
CAPTAIN CAREY USA (1950) --- Alan Ladd goes back to Italy after the war to find out who betrayed his OSS team. There's a girl he loses, finds, loses again. The story is messy and pace is slow. Director Mitchell Leisen told writer David Chierichetti that he tried to make something of it, but fate and Paramount not-much-caring prevailed. Two assets are Ladd and composer Hugo Friedhofer, Ladd doing it all with eyes and jackrabbit motion. His quick climb over walls to a balcony look like Doug Fairbanks back on the job. Leisen said Laddie's wife came nagging to the set and disrupted hubby's concentration. He'd sulk from there to workday's end. The ball and chain weighed heavy on Ladd. Captain Carey's flawed script could be forgiven at his level of star contribution, though. Why try harder with AL assurance enough of the boxoffice? A few years later would have put Vistavision cameras in Italy for CC-USA. This is black-and-white, studio bound, with welcome feel of vintage Paramount, enhanced by Olive's Blu-Ray release. 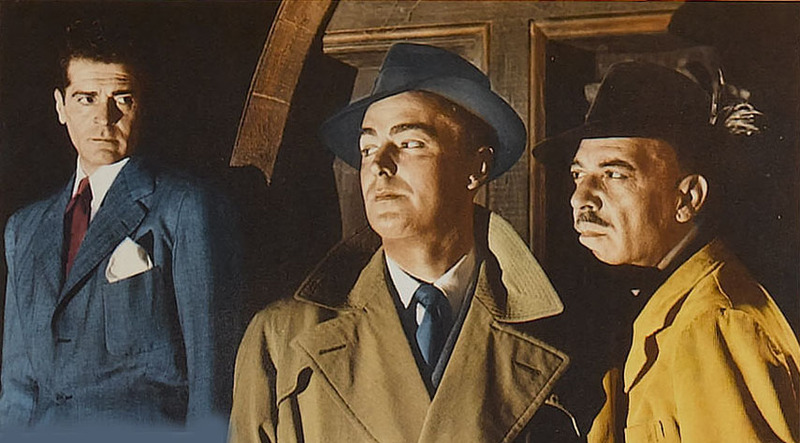 I'LL WAIT FOR YOU --- (1941) --- You know it's a Metro B when Robert Sterling is the flashy gangster working at behest of Reed Hadley, fleeing cop Paul Kelly into the rural embrace of Marsha Hunt. Her farm folk redeem Bob in furtherance of MGM country-good, city-less so doctrine as expressed in much of their output. It's well-known that Metro's low-budgets were everyone else's big spending, so I'll Wait For You doesn't short-change. The further reformation of a basically likeable crook was dog-eared from silents, but useful to road-test talent and get return on character faces drawing weekly pay. Sterling was OK for utility as Clark Gable's brother here, a discarded suitor there (sometimes both), but others newcoming to Metro were more suitable to leads. Marsha Hunt, also utility, was valued by plain-folk in the audience that identified with her. For every Lana Turner, MGM needed three or four Marsha Hunts. Code rules won't quite give us an ending we'd like, though being expected helps it annoy less. From Warner Archive. 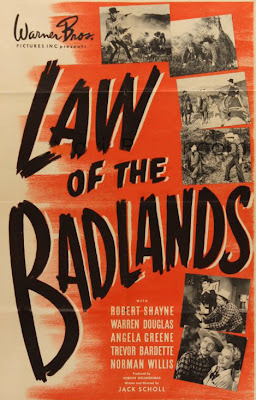 LAW OF THE BADLANDS (1945) --- Warners did a brace of vest-pocket westerns at two-reel length between the late thirties and mid-forties. Early ones had Technicolor lensing and all featured WB stars in development. Initially, they were laced with music and dance, that later abandoned for straight action content. 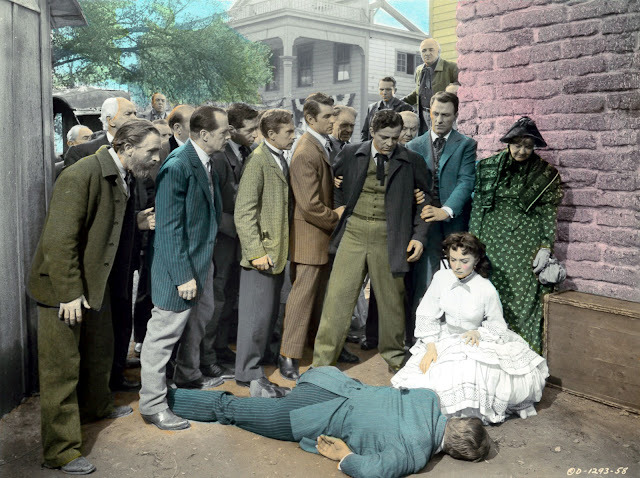 The series was really an opportunity for Warners to derive stock footage from expensive shoot-ups done previous, thus The Oklahoma Kid, Dodge City, and such got renewed life in short subjects, cast members kitted out in wardrobe having adorned Cagney, Flynn, others in now pillaged highlights. Wasn't easy matching Robert Shayne with four and a half inch shorter Jim Cagney, even with Shayne in identical buckskins. Law Of The Badlands has Shayne cashiered from the Army, tried for murder (innocent, natch), and landing with Custer at the Little Big Horn, all in a lightning stroke of twenty minutes. Crowd footage and the massacre finish from They Died With Their Boots On lent Law Of The Badlands grandeur impossible to achieve on customary two-reel budgets. Maybe patrons liked a potted western with their movie show every now and again. There had to be some reason for this group lasting over seven years. 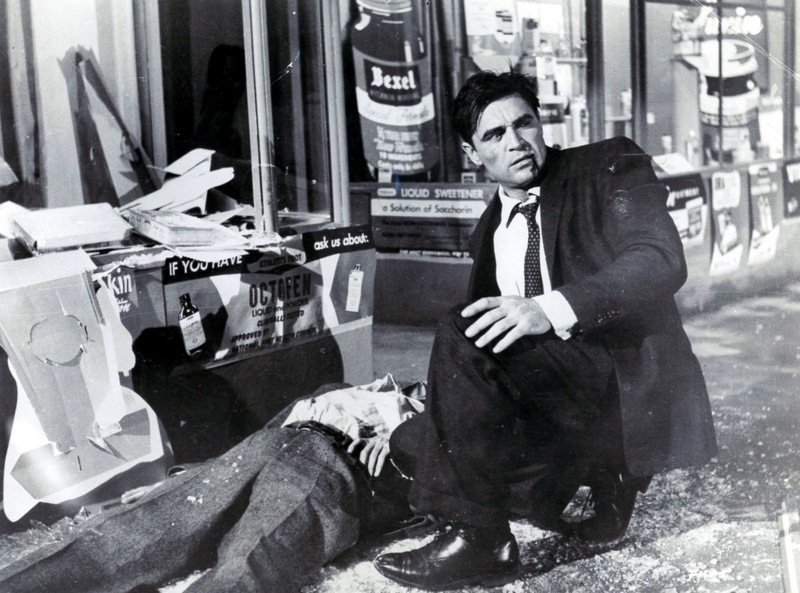 Warners would re-cycle action bumps in TV series to come, thus James Garner, Ty Hardin, etc. mimicking appearance and moves of players departed from the lot, but still performing via vintage derring-do. "Captain Carey, U.S.A." has the unforgettable song "Mona Lisa" which won an Academy Award. Later with lyrics in English, "Mona Lisa" topped the recording charts when sung by Nat King Cole! 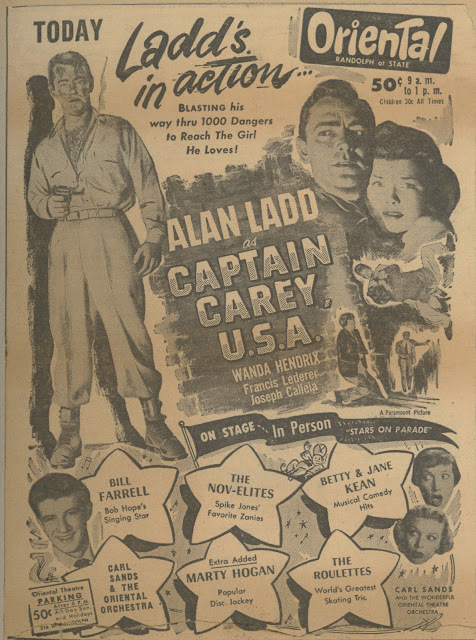 The year 1943 saw renewed interest in live-action, two-reel subjects that could complement (or even replace) the second feature on a double bill. M-G-M had its "Heavenly Musicals," Paramount had its Technicolor "Musical Parades," and Warners had its "Santa Fe Trail Westerns." These two-reelers seem to have added novelty value to otherwise standard moviehouse programs. I suspect the shorter length served a dual purpose: it conserved motion picture film during wartime, and it accommodated the wartime exhibitor, who wanted to squeeze more showtimes into his day while giving his patrons a balanced bill. Just a note to say how much I've been enjoying these "review roundups," they alert me to films I want to see (got to get PRIVATE HELL 36!) and provide an enjoyable revisit in my mind's eye of films already seen (as a Marsha Hunt fan I really enjoyed I'LL WAIT FOR YOU). I recorded THREE HOURS TO KILL a while ago, need to pull out my tape and check that one out. As you say, Dana Andrews is always good! Thanks for the fabulous photos to go along with the reviews. Simon Callow, in his biography of Laughton, suggests that Laughton wrote, or rewrote, the marvelous scenes between Kidd and his manservant played, I believe, by Reginald Owen. As Callow points out, those scenes, besides being slyly humorous, are actually about something, manners and class, as Kidd attempts to transcend his base origins and make himself acceptable to the aristocracy. 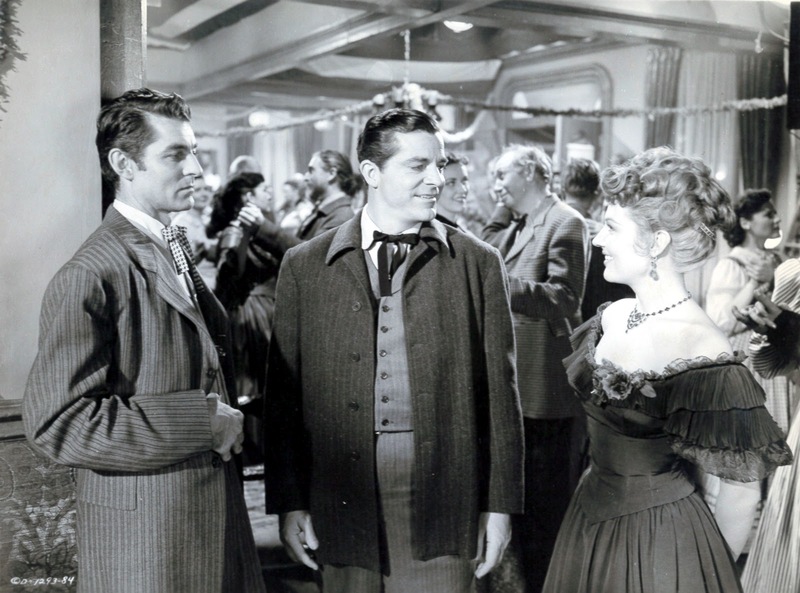 Captain Kidd is delightful moviemaking, with capable direction from a slumming Rowland V. Lee, and nice character turns from Henry Daniell and John Carradine. Laughton is great, much more entertaining than in some of his more serious endeavors, such as the inert Rembrandt. Laughton's acting choices post Hunchback are often given short thrift but, aside from one more misguided attempt at "serious" acting, Hobson's Choice, there isn't a bad performance in the lot, including the gig with Abbott and Costello. Thanks for that background, Scott. What we need is more of such short subjects on DVD, though Warner Archive has released several nice sets of late. Mido, that Simon Callow book on Laughton is really a great one, the best on CL by far, and like you, I'm a fan of everything this actor did. I once read in an interview with James Garner in which he claimed that one of the main reasons Warners gave him the part of Bret Maverick was that Errol Flynn's old costumes (which he wore throughout the show) from San Antonio and Montana fit him perfectly!! Having not seen the show in years, I'm not sure if stock footage from either of these movies were used on Marverick. Have to insist CL is extremely good in Hobson's Choice, precisely because he doesn't run away with the movie. Maybe CL the actor was sulking because he realized the daughter and her unlikely husband were going to command the interest and the laughs, but a full-bore Laughton comic rogue would have thrown the movie out of whack: his Hobson is amusing, but at the same time he's never lovable -- and the story needs him to be thoroughly unlovable. Thanks so much for the kind words and link, John! It's my pleasure to help spread the word about Greenbriar. Regarding another comment, stock footage from SAN ANTONIO was definitely used on MAVERICK. The Bella Union saloon turned up numerous times on MAVERICK, both exterior and interior.